Magis Chocolate is a bean-to-bar chocolate company started by a Saint Louis University student who spent eight weeks living and working alongside Belizean cacao farmers. Magis Chocolate pioneers a social enterprise model that provides farmers and partners ownership of the company. 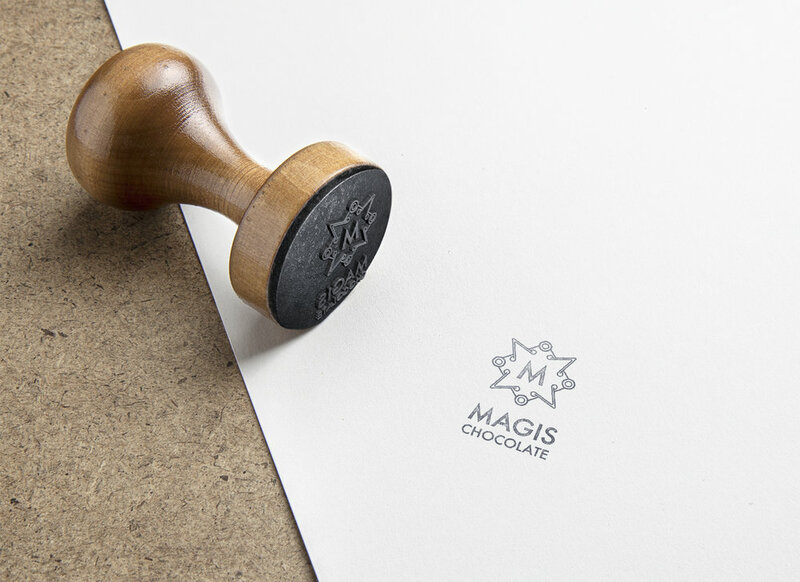 It was important to the client that Magis Chocolate's logo reflect the Mayan culture it was founded on. Through research and exploration of ancient Mayan glyphs and artwork, I found common elements that I repurposed into a simple, recognizable and contemporary logo.